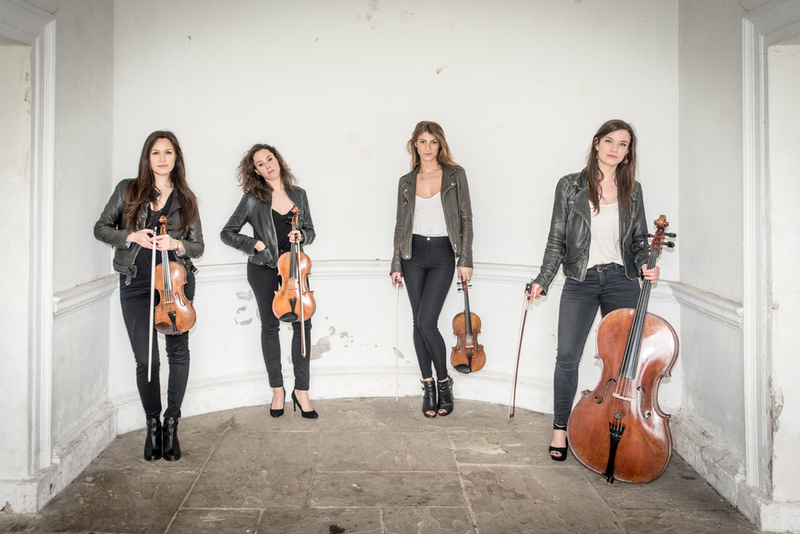 Cosmo Strings is an edgy, young French pop string quartet based in London. This atypical quartet, founded in 2012 at the Royal College of Music, London, was born from the members’ many musical influences (from classical to jazz, pop and electronic). Noted for their lively stage performance and impressive arranging skills, they have been collaborating with artists including Alex Clare and Frank Turner, as well as being invited to perform in venues such as Ronnie Scott’s and BBC Radio London. The award-winning members of this quartet have collectively performed throughout Europe, the US, the Middle-East and Canada, with artists such as Rod Stewart, Tinie Tempah and Bastille.